Coming off the heels of last Friday's list of what I consider to be the best Nintendo 3DS retail games, I have a companion piece to share with you. This time, I'm looking through the massive digital pile of 3DS eShop games and compiling a list of my 21 favorites. It was a difficult list to come up with just 20 so I had to make it 21, and it was even harder to create a satisfying order. However, the job is done, and I share with you the best of what the 3DS eShop has to offer! After you've given this second list a once-over, I'd be mighty interested to read your thoughts on your favorite Nintendo 3DS eShop titles! 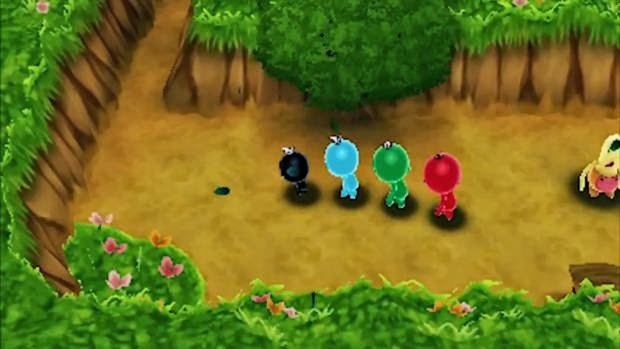 If you don't mind spinning around in public using the augmented reality function of the Nintendo 3DS camera to zap up Denpa Men to join your party and enter difficult dungeons, participating in RPG style combat, then The Denpa Men: They Came By Wave would be up your alley. Just realize that under its cute exterior lies a true beast of a game with some high challenge at some parts. Still, The Denpa Men was a charming game that was packed with content and replay value. 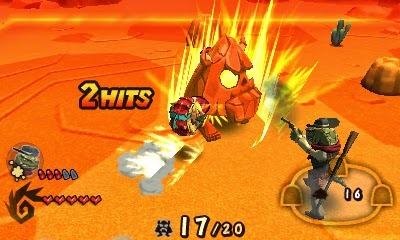 Between the original Dillon's Rolling Western and its sequel, The Last Ranger, the series was one that was a mix between action and tower defense gameplay. From the amount of charm from the world and its cast of characters alone, I would say that the two Dillon's Rolling Western games are worth a look. It just so happens that the gameplay of the two titles fortunately make these Wild West wonders worth playing. The 3D platformer was once the genre in gaming. Unfortunately, nowadays the industry is oversaturated with shooters. Putting away my old man cane and putting an end to me yelling at clouds, Jett Rocket II: The Wrath of Taikai was a modest combination of "3D at times and 2D at others" platformer that brought with it fun level design, relatively tight controls, and Nintendo 64-era nostalgia that hit players right in the heartstrings. It is rare for Game Freak to do something besides the mainline Pokemon games, so it was a breath of fresh air to see HarmoKnight come from the studio. This rhythm platformer had you jumping and attacking in time with the beats of the music. Boss battles consisted of memorizing beats and replaying them in time, or else face defeat! Featuring creative and varied levels, challenging boss battles, and plenty to complete, HarmoKnight was a great experiment from Game Freak and Nintendo. For those with creative and artistic bones in their bodies came Colors! 3D. 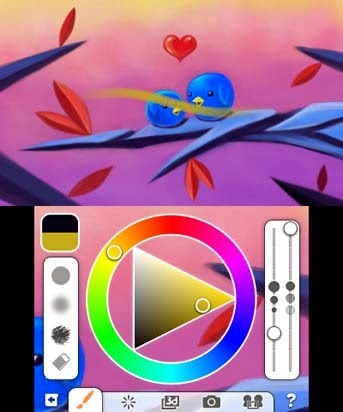 This artistic tool allowed users to draw and paint on one of a handful of different layers. When combined, these completed layers would show a stereoscopic 3D picture. One could upload their creation to the application's online servers to share their work with the world. One could also check out other creators' works for a truly fantastic and satisfying application that was affordable to purchase and own. 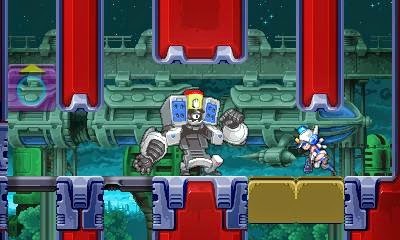 Wayforward sees their first of two game series on this list of 20 best 3DS eShop games with their Mighty Switch Force series. Part platformer, part action series, the Mighty Switch Force series had players rushing through levels, shooting foes, switching between one color of platforms being on while the other was off, and capturing escaped prisoners. This was all while being on the clock. 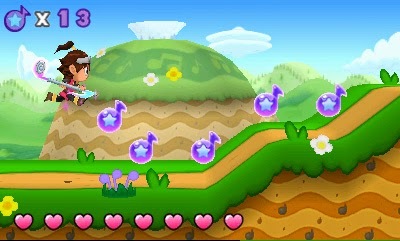 The fun of the series came from speed runs, attempting to beat the target times for each level. Tappingo has seen two games thus far on the Nintendo 3DS eShop. 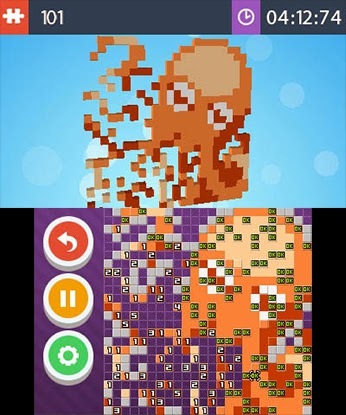 The premise of both was similar somewhat to Picross. Instead of the numbers being on the side of the puzzle, they were on tiles in the puzzles themselves. You extended the tiles by the amount displayed on them until you finished with a piece of tile art, representing a multitude of different objects. It was an affordable puzzle series that came with a lot of tricky puzzles to keep players coming back for more. 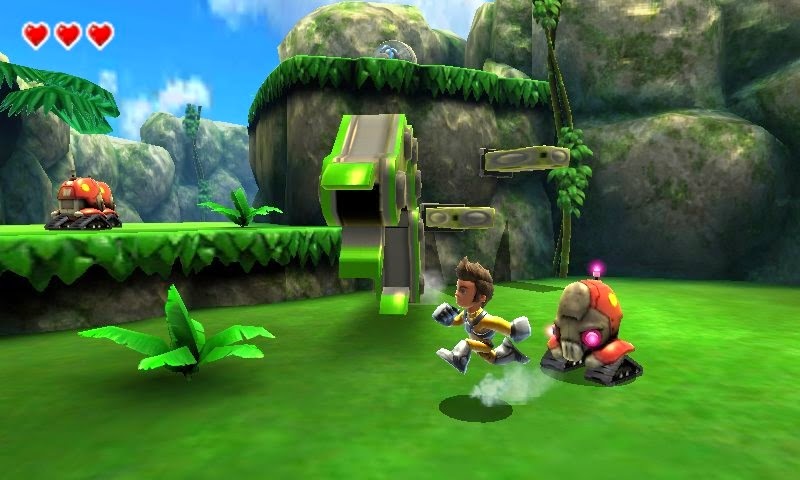 A sequel to the WiiWare's Fluidity, this Nintendo 3DS sequel was made up of bite-sized levels rather than a Metroid-style map. 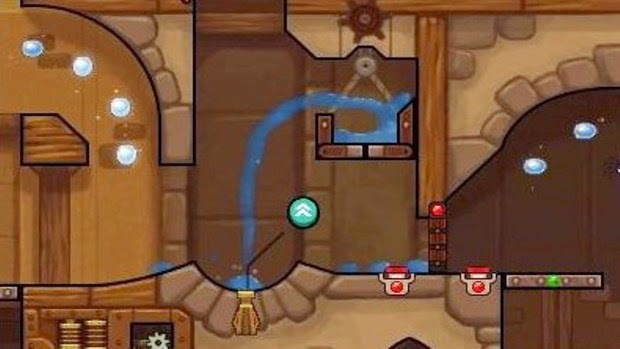 You turned and spun the Nintendo 3DS in your hands to move around a puddle of water, solving environmental and physics-based puzzles to reunite with the girl droplet of water at the end of each stage. With great puzzle and level design, Fluidity: Spin Cycle was a terrific and fresh hydro adventure. Take the concept of Punch-Out!! but offer 3D movement, and you have what Sakura Samurai: Art of the Sword offered players. 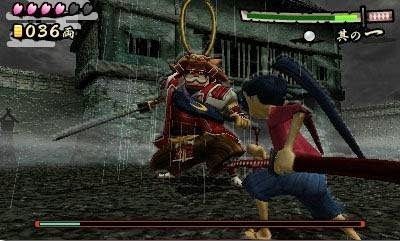 From blocking projectiles to narrowly escaping offensive strikes from rival swordsmen and samurai alike, Sakura Samurai was a test for one's reflexes and attention that delivered exciting gameplay with some adventure-inspired aspects. Shin'en Multimedia is known for getting A LOT of the Nintendo hardware the studio works on, and Nano Assault EX was no exception. 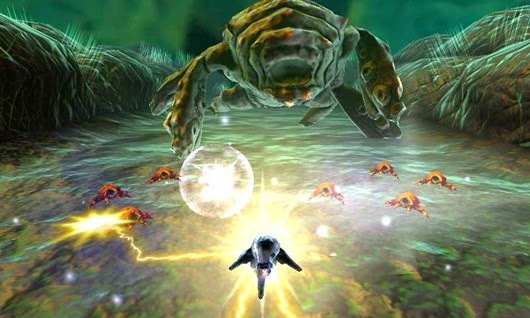 The game featured 3D spaceship battles along a spherical-like surface as players shot down viruses and other germs. Other times players sped through an on-rails section similar to Star Fox 64. Both play styles made for an exciting and oftentimes highly challenging shoot-em-up affair. 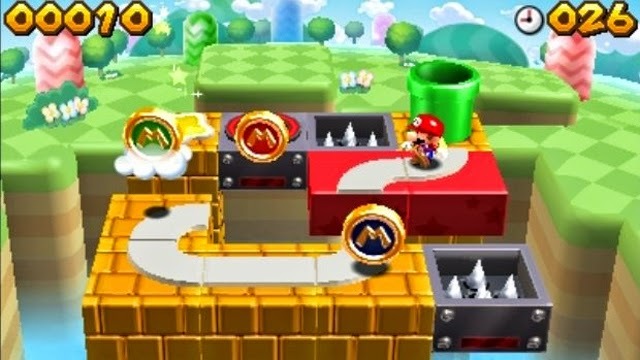 Unlike past games in the series, this time Mario and Donkey Kong teamed up in a 3D puzzle game. By placing tiles down, players created paths for the miniature wind-up figurines to follow, all the while collecting coins and reaching the goal unscathed. There were four main modes in Mario and Donkey Kong: Minis on the Move, and each offered plenty of play time regardless of one's skill level. Sometimes simplicity is all one needs for a highly competent 2D platformer. 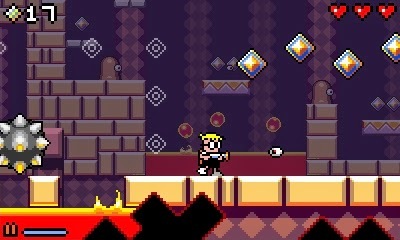 That was what Renegade Kid's Mutant Mudds had in excess. You had three functions: jumping, hovering, and shooting. This was combined with the ability to shift into the background and foreground of levels at specific points to really show the stereoscopic 3D effect of the Nintendo 3DS system to a sublime degree. It helped that the entire game was a blast to play, even if it could make you second guess exactly how good you were at 2D platformers with its old-school difficulty! 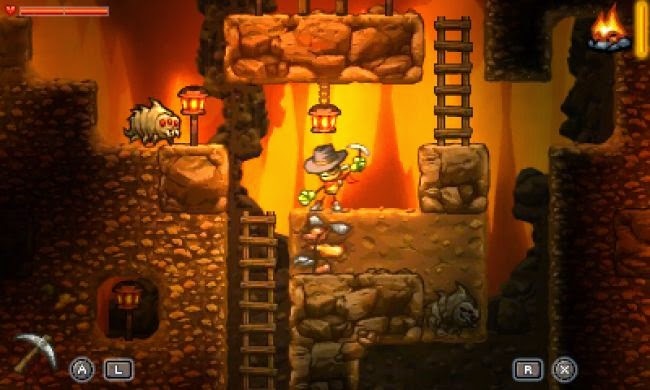 Between its 2D platformer roots, besides running and jumping, SteamWorld Dig's main focus was on mining ores. These ores were brought back from underground onto the surface to be traded for money and goods. The amount of underground layers to explore was only beaten by the number of layers of sensational gameplay that was able to be discovered. With randomized ore placement and mine setups, SteamWorld Dig was a game that one could log a lot of hours into for a modest price of entry. Wayforward's Shantae was a product of the Game Boy Color, offering one of the most graphically advanced games on the system. The genie returned with a Metroid-style adventure called Shantae and the Pirate's Curse. This game gave players a brief adventure but one dense with satisfying 2D platforming gameplay that begged players to return to Pirate's Curse's colorful and superbly designed world long after the first play-through of the game was completed. 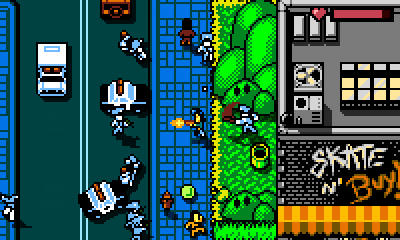 Take a profusion of video game and movie references, combine it with old-school Grand Theft Auto overhead gameplay, and jazz it up with NES-style graphics, and you had a retro-tacular game called Retro City Rampage for the Nintendo 3DS. While the game was not exclusive to the 3DS, it played marvelously on the system, and most of the references and humor would be welcomed best by older Nintendo fans. It helped that the actual game was of great quality for one retro-styled GTA-esque game. The game that is the newest of those on this list, Pokemon Rumble World gave me quite a bit of trepidation when it was announced. It was free-to-play, which raised warning flags in my head immediately. However, Pokemon Rumble World shows that this time around-- unlike Pokemon Scramble-- this is Nintendo doing F2P right. 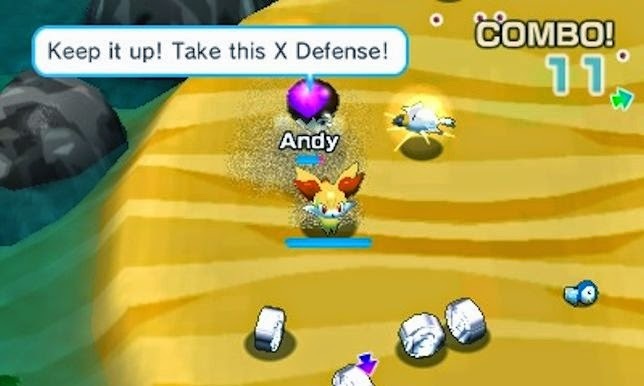 With a limit on how much one can spend total, gameplay that gives you enough content to play through without even needing to spend any money, and the simple but addictive battling that the Pokemon Rumble sub-series is known for, you have one of my favorite Nintendo 3DS eShop games available. Primarily developed by one man, the Gunman Clive duo of games immediately drew me in with its animated sketch-like visuals at first. Then I was captivated by its Mega Man-style gameplay. Both games in the Gunman Clive series were short romps, but they were ones that stuck with me. It was so much so, that I couldn't help but replay both of them, if to not just unlock a new character, then just to experience the tight gameplay of both all over again. These are well crafted 2D action platformers with a lot to owe to gaming's past. Since Capcom was all but too happy to let their history-rich Mega Man franchise stay on what seems to be a near-permanent hiatus, it was up to other developers to fill in the gap left by the Blue Bomber's absence. 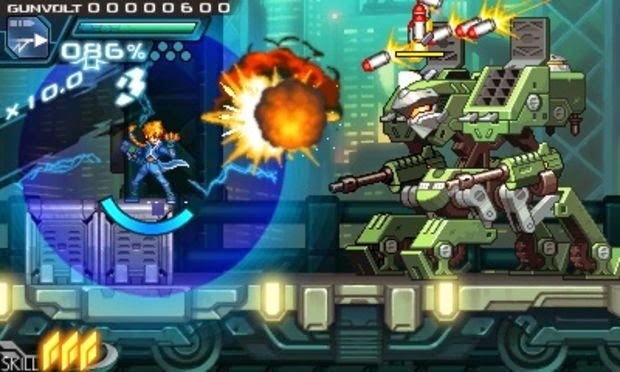 Inti Creates, makers of the Mega Man Zero games and Mega Man 9 and 10, stepped forward with Azure Striker Gunvolt. It was an action platformer with similarities to the developer's past works, but at the same time different enough to be its own satisfying and highly challenging beast. Thankfully, the game was a sales success, and we'll be seeing a sequel shortly. 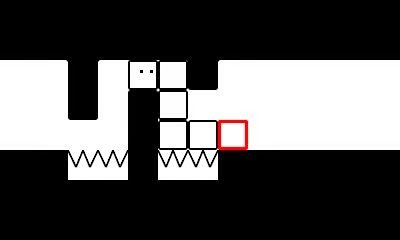 Also a new release (within the past week or so), Box Boy! came from Intelligent Systems, makers of the Fire Emblem and Advance Wars series. 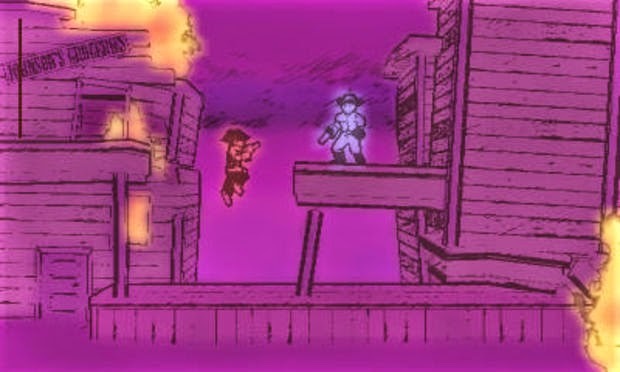 It was a simple in looks puzzle platformer where players controlled the eponymous character through basic designed 2D levels. He could summon boxes from his body to use to hold down buttons and reach new heights. Again, sometimes the greatest concepts come from simplicity, and this was no better shown in Intelligent Systems' next great game, Box Boy! 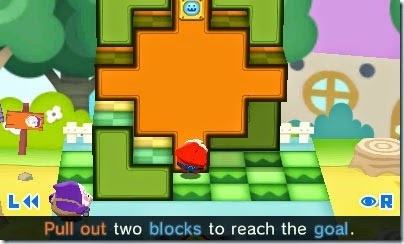 Another puzzle game from Intelligent Systems, Pushmo was one of the first breakout hits for the Nintendo 3DS eShop. It revolved around pushing and pulling blocks from towers to scale and reach the very top where the goal usually was located. The added fun of Pushmo came from creating and sharing one's own puzzling creations, making a game that was already bursting with longevity possess even more. So many hours were lost solving Pushmo puzzles and creating my own that this game just HAD to be my pick as second best Nintendo 3DS eShop game thus far. 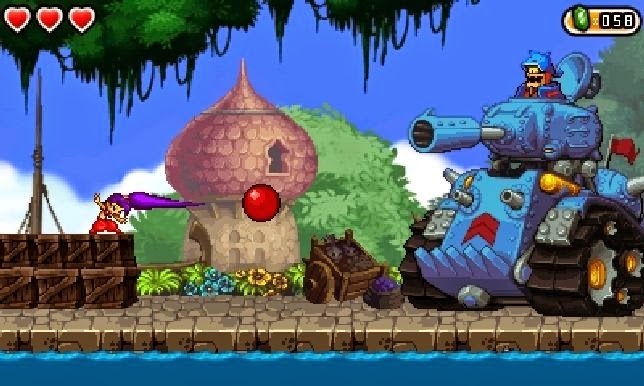 Take everything you like about the level design of the Mega Man series, the towns of Zelda II, and the cane-bouncing of DuckTales, and you have Shovel Knight, an amazing 2D action platformer from Yacht Club Games, a developer made up of former Wayforward employees. 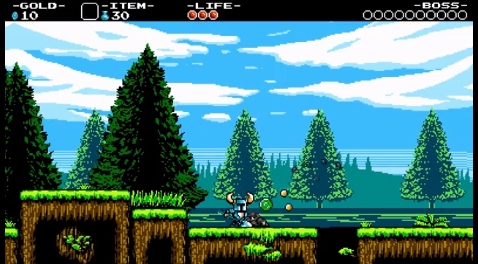 Shovel Knight was 2D action platforming done right with impeccable level design, great boss encounters, and plenty of secrets to keep players playing long after the credits rolled.